J. Patrick Aaron served as “The Man in Charge” of floordesign from 1987 until his retirement on 29 May 2015. Portrait (and I use that term loosely) styled like the 1980s because they are Hot, hot Hot! Ladies and gentleman of the world of rugs (and others) whether you like it or not I present on the occasion of his penultimate day in the world of rugs a man who needs no introduction, but for whom I’m going to provide one nonetheless. A man known throughout the rug industry for his business savvy, his keen purchasing eye, and his forthright style. A man who “sold unimaginable quantities of Tufenkian Carpets” according to James Tufenkian – enough to have earned himself the jocular honourific title “King of Tibetan Rug Sales”. A man I was fortunate enough to meet, fortunate to work with, and honoured to call my friend. Without further adieu I give you a brief biography (embellished or otherwise) of the incomparable: J. Patrick Aaron. “He must have dropped fully formed from some rug heaven into our industry. We begin this story on the occasion of my first meeting with Patrick Aaron. It was the spring of 2006 and I was traveling on the road peddling wares from Lapchi, much the same way a youthful Patrick entered the sales business by traveling (we presume door to door) peddling “steel” as I believe he euphemistically calls it. I had been sent to San Francisco to facilitate Lapchi’s presence in what remains to this day one of the best rug showrooms in North America. I arrived the day before as is my modus operandi and upon checking into my hotel, I walked out the door and up the street into the golden rays of the California sun, the bell on the cable car went “Ding, Ding!” just like in those Rice-A-Roni advertisements of my youth, a chill went down my spine and a feeling that anything is possible filled my mind. “San Francisco really is a treat” I claim to have thought, and now, years later I cannot help but wonder if that liberating feeling of home, though that solitary word seems inadequate, is the same that Patrick felt when he first visited San Francisco in 1976? What was it that took him there? Where did he come from? Question? After question? Waiting to be answered. It was circa 1974 and Patrick had just moved to Atlanta to begin his career in the design industry. He had always shown an affinity for beautiful interiors though from the description of his “early pirate” themed bedroom replete with iron candle wall sconces hung on gilt framed cut velvet panels one could not be faulted for questioning his style, at least in hindsight. “But wait, candles?” I asked. “Well it was pirate!” Patrick responded somewhat laughing, somewhat indignant before continuing to regale me with his tales (pirate and otherwise). With would be jobs in the industry scarce, Patrick decided to start at the top!! Of a building we all know and love. At the time the roof of the AmericasMart housed a restaurant (owned by Stouffer’s) aptly and uncreatively named “Top of the Mart” and our friend was the Maître D’, presiding over the dining room like his influence would later preside over the rug industry (you may now moan). I mention Patrick’s early work experience not to embarrass (much) but to remind us that life’s journey is long and varied, But I’m digressingTM (Not really). It was not long however and Patrick had not only landed a job at Hamilton House thus beginning his career in broadloom, but due to the somewhat questionable business ethics of the former manager found himself promoted to the position in just six (6) weeks. 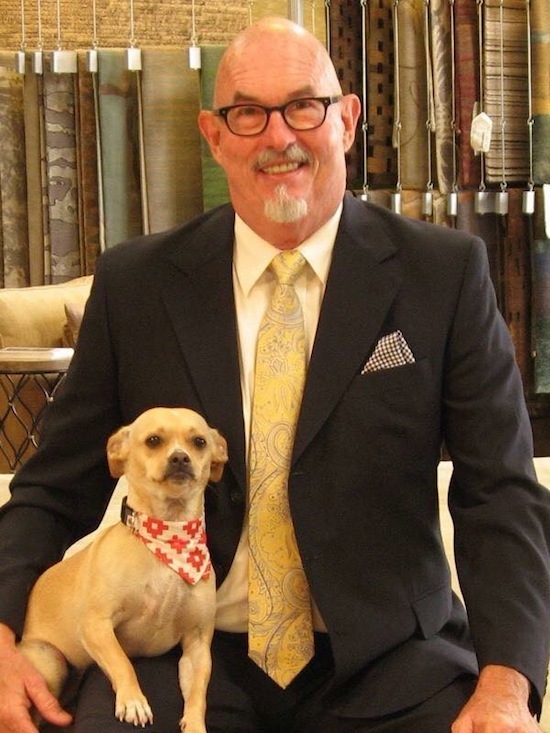 A few years learning the ropes (of broadloom not piracy) and Patrick moves to Designer Carpets at the Atlanta Decorative Art Center where he continues honing the extensive product knowledge critical to the next segue in his story. It’s now the late 1970s and very early 1980s more or less and Patrick is a seasoned knowledgable salesman doing well for himself but longing for more. 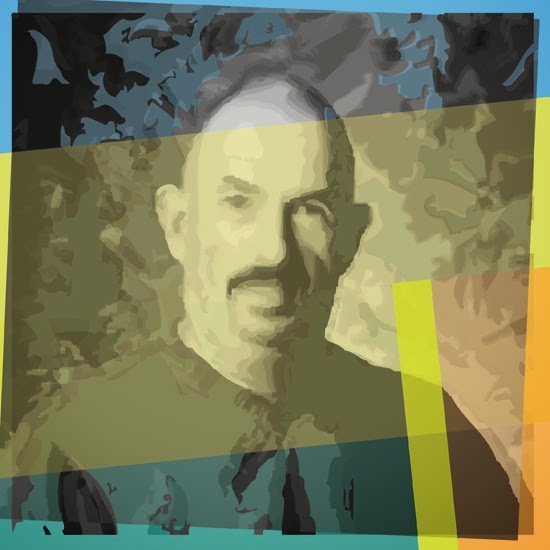 He’s enjoying life, but he’s now, and I’m quoting him, “the oldest gay in the disco” and while his now yearly vacations to San Fransisco – visiting and staying with friends, attending Pride, and just enjoying California assuage his restlessness, he still longs to move to San Fransisco. Fortune favours the prepared as is said, and in 1981 Patrick realizes his best opportunity would be at a showroom selling the same product lines he already knew, and knew well. Through a friend he obtained a printed directory (I know, cute eh?) of the San Francisco Design Center and found one such showroom. Floordesign was that company. So, he calls a friend (different from whom he had obtained the directory) and asked him what he knew of Floordesign. “Oh! That’s where I work” responded the friend who thusly arranged for Patrick to be interviewed. On the second interview Patrick was offered a position (and a pay cut) which he accepted, happy to have finally found a way to make the move. A thirty foot (30′) Uhaul, a van, and a friend later, Patrick arrives in the city he still calls home and on 16 September 1981 he has his first day at Floordesign. It may be shocking to learn that someone who “created an unbelievable machine for selling great decorative carpets on a massive scale in the San Francisco market.” and who “Revealed the huge potential of Tibetan carpets as a category.” wasn’t really selling rugs at this point. Though he had been promoted to Manager (of course), the then owner of Floordesign Robert Parsons was still heavily focused on high-end broadloom, and by heavily I mean entirely. 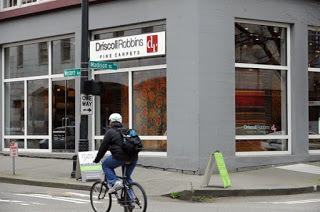 It wasn’t until the death of Mr. Parsons in 1987, and the revelation that Robert had left the business to Patrick, did the direction of his life, and that of Floordesign take a turn toward rugs and carpets. I asked Patrick for some advice he might like to share as some elder soon to be dowager king of the world of rugs. “Start small in a new line.” he responded, which is precisely how he began adding rugs to the selection at Floordesign. After a few years of slow and steady growth we now find ourselves in the nineties and people like James Tufenkian and Stephanie Odegard are just beginning to shape the modern tibetan rug market. Patrick’s aforementioned keen purchasing eye doesn’t have him starting here however, no he’s already been jet setting from San Francisco to London buying tibetan carpets from then industry titan OCM at the Palace of Industry. Four (4) times a year Patrick would fly in, look at around two thousand (2000) carpets and buy maybe fifty (50), ship them home, sell them, and repeat. 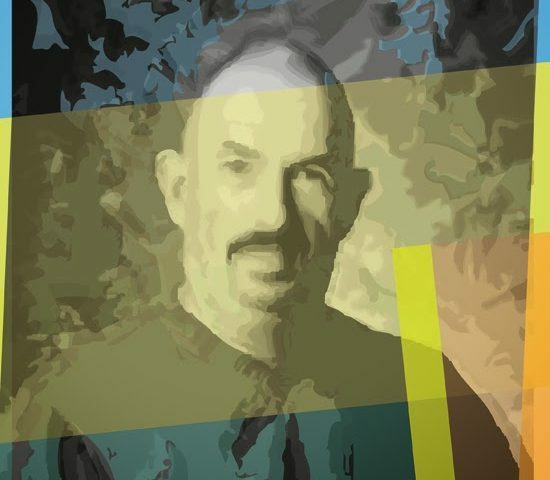 These words are not effervescent or patronizing, rather they reflect the immense roll Patrick played in developing Mr. Tufenkian’s business, one that was fuelled in part by the technology boom of the waning years of the twentieth century. This was Floordesign’s moment in the sun as it were and in the style of the crappy “journalism” of today: what you’re about to read will amaze you!!! Technology money is flowing like water over a dam and the nouveau riche are spending it, as they always do, like it will never run out. “Some tech executive would come in with their designer, talking on his cell phone the entire time he’s in the showroom, pointing and approving carpets. In the span of thirty (30) minutes they would buy four (4) 10x14s from stock.” said Patrick of the era. “From stock?” I asked in a tone that betrayed my disbelief. “Oh Michael” Patrick begins elocuting “We were doing $700,000/month month after month and we had to have it in stock because people wouldn’t wait. It was an amazing time. How do you think I paid for my condo?” he finished rhetorically. To give you some perspective, Floordesign would stock one each of five (5) sizes of a design colourway, and they did this for multiple rugs. “How many designs?” I inquired and to which you can likley predict the answer: “Oh several, probably ten (10) designs or so.” Sales were, to borrow from a previous quote, “unimaginable” and while funded by tech money, so much that was happening in the rug industry was only adding fuel to that proverbial fire. Odegard (a line not unlike Michaelian and Kohlberg in that both were originally carried at Floordesign before moving onto the rose tinted greener pastures of their own showrooms) was hitting it’s stride producing amazing carpets, the design press was in love with Tibetan Carpets, and Tufenkian had introduced the “Barbara Barry” Collection and Designer’s Reserve. “Was it her name or the designs?” I curiously asked remembering for myself the crazed hysteria that was all things Barbara Barry back in the day. “Oh she was the anti-Martha [Stewart], people just couldn’t get enough.” And then that dam broke, the water came crashing down in a flood quenching the fire and the (first) tech boom ended. Somehow we’ve just only now made it to the turn of the century and so much remains that could be said. If we skip over a few years we’re pretty much at the point of the story just before Patrick and I first meet, and Kerry Smith is introducing Lapchi to the country. “I remember Kerry showing me this exquisite silk bound book of designs. They were beautiful, but the line was small, and I wasn’t interested.” says Patrick, “We were heavily vested in Tufenkian, Lapchi was also available down the road at Galleria Floors (also now closed Patrick points out) but only in a small way, and it just didn’t seem right. So we passed.” But then Lapchi adds more designs, the collection grows and like a kid who’s been told he cannot have something: “I had to have it.” said Patrick. And that’s when we reach the point of the story when Patrick and I meet, and the rest is history as is said. Patrick Aaron with his dog and Floordesign mascot “Bandit” shown in a more flattering photo. “So any last advice that you would like to give to those of us who have to keep working?” I asked as we neared the end of our lovely conversation. “Life is too short to deal with bad importers because there are so many who do it the right way.” and “If you’re a showroom don’t buy into a line just to tie it up from your competitor.” said Patrick as we shared some laughs. “And your favourite rug?” I ask pretending to be all reporterly, “If you have one?”. “It would have to be the Vase Tabriz from Michaelian and Kohlberg. That’s the rug that truly stands out to me. Even more so once I saw the original in the Louvre in Paris.” This was not the answer I was expecting from the man who had just moments early expressed his love for the modern organic carpets the industry is now producing, and who professed that the secret to longevity in business (and in life we’ll extrapolate) was to keep re-inventing yourself to remain relevant. But then again, I should have expected nothing less from a man who had earlier professed his obsession with detail when describing the long shag nylon carpeting that he would rake while asking guests to lift their feet. Today is Patrick’s second to last day at Floordesign on a regular basis (he remains a partial owner of Floordesign and will keep an office for use one (1) day a week.) It would be grand if stop what you’re doing (which is just reading The Ruggist), pick up the phone, and dial 01 415 626 1005. When Emilia answers tell her you we told to call Patrick and ask her to put you through to him so that you may wish him all the best life has to offer. Editor’s Note: This article was edited on 28 May 2015 at 11:09 ADT to correct several typos (in name spelling), a factual error (wrong friend), and the blasphemous error that incorrectly placed the Pacific Design Center in San Francisco. Obviously it was the San Francisco Design Center and The Ruggist apologizes for this error. We also added an updated photo.